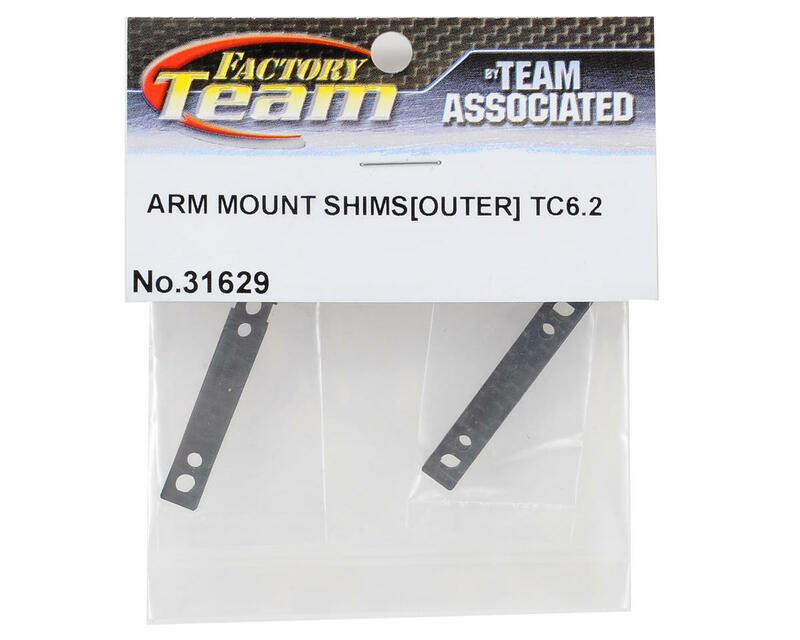 This is a replacement Team Associated TC6.2 Outer Arm Mount Shim Set. This package includes two 1mm and two 0.5mm carbon fiber suspension mount shims. 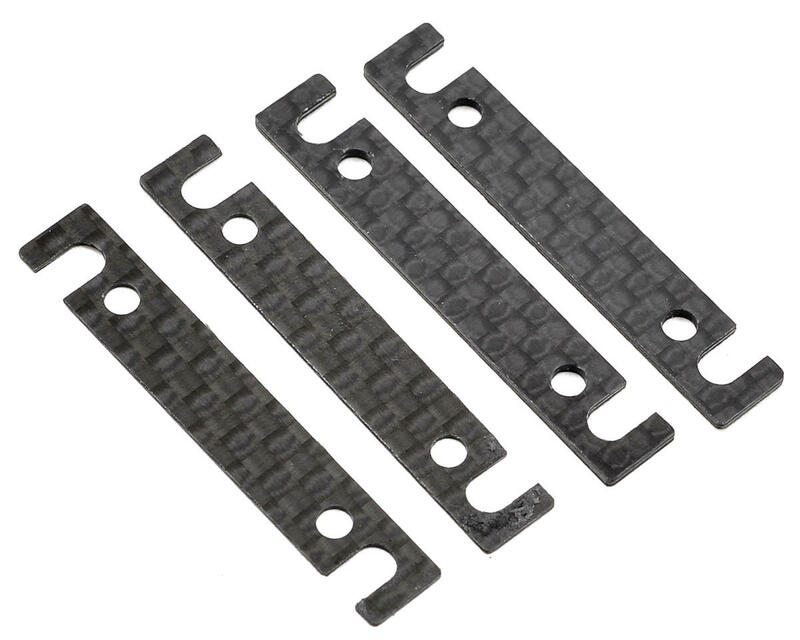 These shims feature a design that makes them simple to install and remove for quick setup changes.